Although Batman: Arkham Asylum wasn’t the first video game based on the DC Comics superhero, it was by far the most successful one upon its release in 2009. 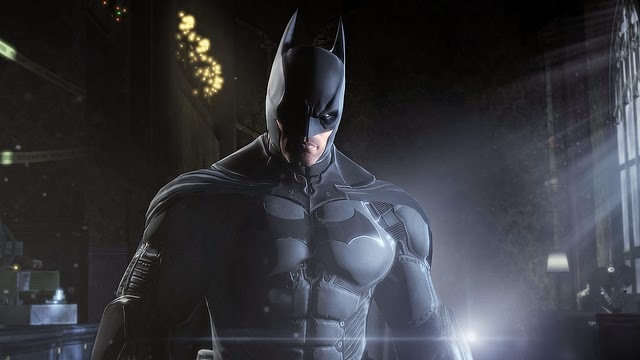 Winning critical acclaim and multiple awards, the game, developed by Rocksteady Studios, kicked off a series of Batman games thematically inspired by an institution for the criminally insane called Arkham Asylum. The third installment, Batman: Arkham Origins, arrived four years after the first game and two years after the second one, 2011’s Batman: Arkham City. Batman: Arkham Origins takes place five years after the events of the first installment. Since it is actually a prequel, this game features a younger Batman who still fights like a seasoned crime-fighter, even if he is far from the peak of his powers in the first two games. Batman is faced with the seemingly insurmountable task of defeating eight of the world’s deadliest assassins, who are lured to Gotham City on Christmas Eve by the $50 million bounty that powerful crime boss Black Mask placed on the superhero’s head. For the first time in the history of the Batman: Arkham franchise, Rocksteady Studios was not developing an installment. Instead, Rocksteady handed over the reins to Warner Bros. Games Montreal, a subsidiary of the would-be publisher of the game, Warner Bros. Interactive Entertainment. However, Rocksteady was still around to give advice on the technology and game mechanics, and WB Games based Origins on the same Rocksteady development machine that had been used on the other games. In fact, WB Games had previously worked on the Nintendo Wii U version of Batman: Arkham City. WB’s development team based Batman: Arkham Origins on comic book themes of the mid-1950s to the late ’60s, when superheroes were more humanized. Although there isn’t much difference in gameplay between Batman: Arkham Origins and previous installments, the third game has something the others lacked: multiplayer functions. One of them, “Invisible Predator Online,” pits followers of supervillains Joker and Bane against Batman and Robin in a rowdy Blackgate Prison-based gang war. Batman: Arkham Origins was released on October 25, 2013. It is available for the Playstation 3, Wii U, and Xbox 360 consoles with a manufacturer’s suggested retail price (MSRP) of $59.99. Arkham Origins is also available for Microsoft Windows-based computers with an MSRP of $49.99. Like its predecessors, Batman: Arkham Origins received generally positive reviews. Most of the game’s acclaim went to the improvement of certain elements of the franchise, including a larger open world setting, more dynamic boss battles, and the brand-new multiplayer mode. Moreover, some critics appreciated the exploration of Batman’s ties with his friends and foes, and the question of whether his presence in Gotham is beneficial or detrimental to the city. Ultimately, though, Origins is generally viewed as the worst of the three Arkham games. One reason for this is the game’s incremental rather than revolutionary changes and contributions to the franchise. Some reviewers even complained that Origins barely improved upon the two previous games, and perhaps worsened gameplay with its wider scale and relatively easy combat system. Aggregate review website Metacritic gave the Xbox 360, PS3 and PC versions scores of 73.33 percent, 72.93 percent and 72 percent, respectively. These are significantly lower than the ratings of the older games, which scored in the low 90s. Have anything to say? just share it with us by leaving your comments below. Along with video games, Chester Butterfield writes on board games, movie trivia, MTG cards, geek conventions, strategy games and other associated areas. For more info, particularly for info on MTG cards, Chester strongly recommends card kingdom.